Our 2015 Kelleher "Block 21" Sauvignon Blanc is a full bodied, luscious, fruit driven wine that treats you to balanced acid and a lingering finish. With just 630 cases produced it will sell out quickly. 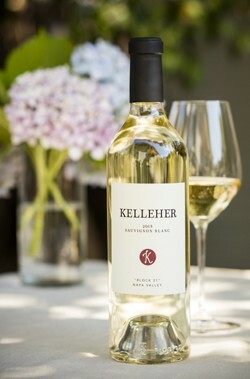 The 2015 Kelleher Sauvignon Blanc is our 7th release from this highly regarded, dry farmed, organic vineyard in St. Helena, Napa Valley. The clean and crisp aromas jump out of the glass, with bright citrus, pear and stone fruits. The pallet is also crisp yet rich in the middle and continues with a lingering finish. Our Sauvignon Blanc has a slight richness from the lees stirring, and the fruit forwardness is enriched by the depth that battonage imparts on the wine.